Even though I can finally see some (dead) grass out the windows instead of just snow, it seems like spring is off to a dreadfully slow start. Good to know that these pillows can remind you that warmer months are right around the corner! 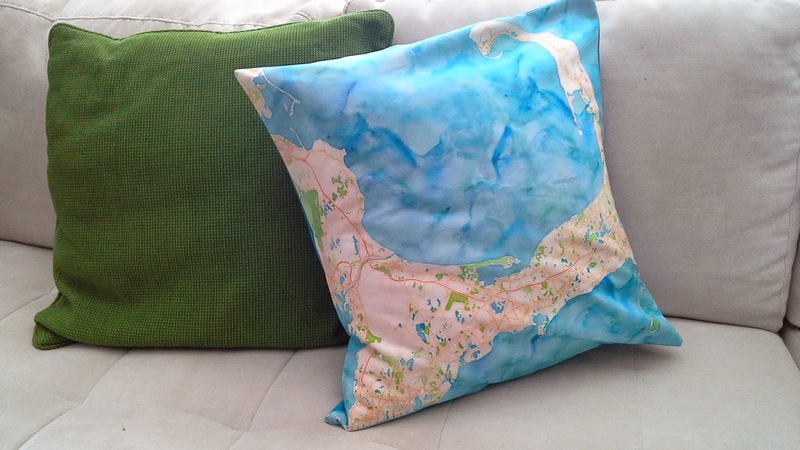 The couch stock photos sort of cut off the Provincetown area and seem to cut really close to the Eastern-most coast of the Cape, but rest assured, the map land's all on there and nothing is cut off. As always, fabric is professionally printed via Spoonflower. 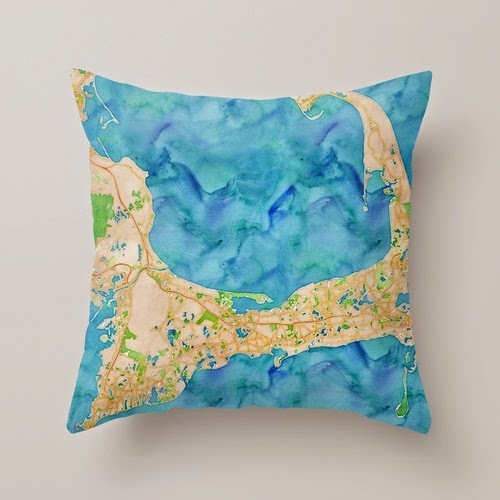 Seriously, these pillows are so vacation-y. 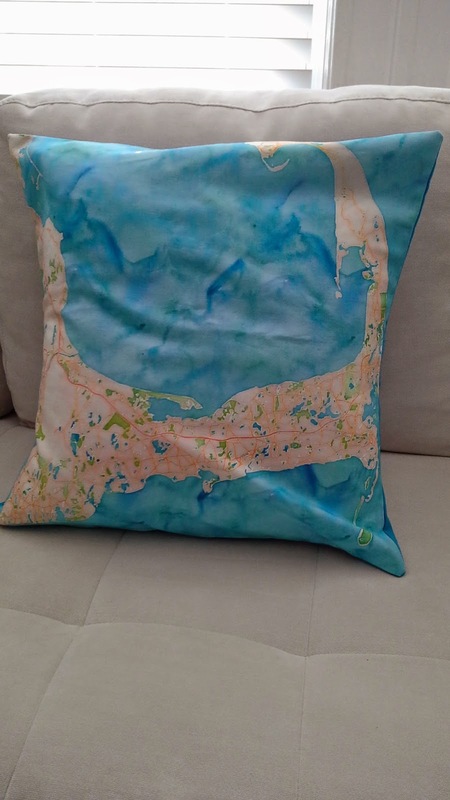 There's a great blue envelope backing on the pillows that really nicely complements the watercolor water and the pillows would look awesome in any beach-y decor.